An underwater drone that can keep watch on reef health and accurately identify and inject the devastating crown-of-thorns starfish is ready to be put to the test on the Great Barrier Reef, as a result of a collaboration between Queensland University of Technology (QUT), Google and the Great Barrier Reef Foundation. Equipped with a high-tech vision system which allows it to 'see' underwater, and operated using a smart tablet, RangerBot is the low-cost, autonomous robot concept that won the 2016 Google Impact Challenge People's Choice prize, enabling QUT roboticists to develop innovative robotics technology into a real-life reef protector. 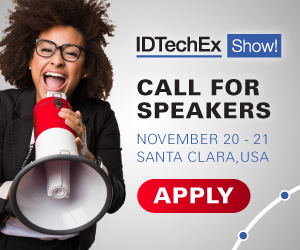 For more information see the IDTechEx reports on Mobile Robots and Drones in Material Handling and Logistics and Electric UAV Drones. Launching RangerBot at Townsville's Reef HQ Aquarium, QUT Professor Matthew Dunbabin said after almost two years of research, development and testing, RangerBot's industry-leading technology is now ready to be put through its paces by those working to monitor and protect the Reef. Professor Dunbabin said "RangerBot is the world's first underwater robotic system designed specifically for coral reef environments, using only robot-vision for real-time navigation, obstacle avoidance and complex science missions. This multifunction ocean drone can monitor a wide range of issues facing coral reefs including coral bleaching, water quality, pest species, pollution and siltation. It can help to map expansive underwater areas at scales not previously possible, making it a valuable tool for reef research and management. RangerBot can stay under water almost three times longer than a human diver, gather more data, and operate in all conditions and at all times of the day or night, including where it may not be safe for a human diver. "The robot is fitted with computer vision to 'see' where it's going and avoid obstacles as well as multiple thrusters so it can move in every direction. We've 'trained' RangerBot to detect crown-of-thorns starfish - and only these coral-destroying starfish - in much the same way as people learn to differentiate between various forms of sea life. Using real time computer vision processed on board the robot, RangerBot can identify these deadly starfish with 99.4% accuracy. Once the identification is confirmed, RangerBot can instigate an injection which is fatal for the crown-of-thorns starfish, but doesn't affect anything else on the reef," he said. Professor Dunbabin said unlike single-purpose marine robots - which are more manual and based on expensive acoustic technologies - RangerBot uses innovative vision-based technologies. "We believe this represents a significant technology leap in both marine robotics and reef protection - the only autonomous, affordable, multi-function solution for effectively detecting and addressing threats to coral reefs," Professor Dunbabin said. "It's an impressive piece of technology, but RangerBot is also deliberately low cost, to allow production to be scaled up once the next level of operational testing is completed and all the necessary approvals are in place. Weighing just 15kg and measuring 75cm, it takes just 15 minutes to learn how to operate RangerBot using a smart tablet. Our vision is to make RangerBots readily available and accessible to be deployed on the Reef where they're most needed and to put them in the hands of reef managers, researchers and communities worldwide. Environmental robotics is a real passion of ours and we see so much potential for these advanced technologies to transform the way we protect the world's coral reefs," he said. RangerBot is the result of the Great Barrier Reef Foundation teaming up with QUT roboticists Professor Matthew Dunbabin and Dr Feras Dayoub in 2016 to enter the Google Impact Challenge. As the People's Choice winner, they secured $750,000 to take the project to the next level. "We're thrilled to see RangerBot come to fruition because this project is about giving those looking after our coral reefs the tools they need to protect them," Great Barrier Reef Foundation Managing Director Anna Marsden said. "Combining the expertise of innovators like Google and QUT, this project is a great example of harnessing technology to benefit the Reef. More than a billion people depend on coral reefs for their food and livelihood - they stand to lose the most if those important ecosystems are not protected. This project and partnership with QUT and Google is about putting these cost-effective, flexible and readily deployable 'drones of the sea' into the hands of the people at the front line of looking after and managing our coral reefs, as extra 'hands and eyes' to manage those critical environments. Even though the Great Barrier Reef is internationally acknowledged as the best managed reef globally, due to its size and complexity, effective management is a mammoth and expensive task. RangerBot has the potential to revolutionise the way we manage our oceans and is an important tool to have at our disposal in the quest to save our coral reefs," she said. The Australian Institute of Marine Science (AIMS) recently took part in trials with RangerBot on the Great Barrier Reef. AIMS is investigating new technology to boost its data collection and underwater observation capabilities to improve the health of coral reefs. RangerBot's capabilities have been extensively tested both in the lab and on the Reef. The next steps will involve further collaboration with the Great Barrier Reef Marine Park Authority, AIMS and others on the specific testing, review and approvals necessary to ensure RangerBot is set to take on Reef duty. RangerBot builds on the original QUT-designed COTSbot prototype, taking that initial concept to an entirely new dimension with autonomous rather than tethered operation, a high tech vision system, enhanced mobility and the ability to monitor Reef health.